This section contains information and links to UK sporting agents and agencies offering a variety of shooting breaks and holidays for a variety of quarry species throughout the UK and abroad. 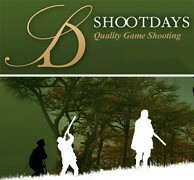 Shootdays is a sporting agency that prides itself in being able to offer bespoke quality driven game shooting days. We have a large portfolio of shooting estates, some of which are exclusively for Shootdays guests to choose from. Aimed at attracting clients from the United Kingdom, our unique blend of ancient countryside hunting pursuits in Aristocratic surroundings coupled with contemporary comfort and style ensures this will be an event you'll never forget. Dumfriesshire's premier sporting agent offering driven pheasant and partridge days from 150 to 400+ and walked-up mini driven days from 50 birds. Davis & Bowring offer grouse, pheasant shooting and salmon fishing in the UK and bespoke sporting opportunities throughout the world. Driven shooting at many venues for teams of guns, specialising in let days on EnglandÃ¢â‚¬â„¢s most attractive, challenging and historically celebrated private sporting estates. 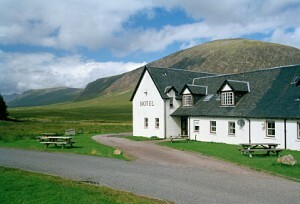 Portfolio with some of the finest shooting, salmon and trout fishing and stalking opportunities available in the UK, together with an unrivalled selection of sporting lodges. Exclusive rough and driven shooting on estates located in Scotland, the North of England, the South and South West of England and Wales. Wildfowling packages also available. Case Sport provide quality country sports holidays including driven pheasant and partridge shooting, walked up shooting and deer stalking on sporting estates in Dumfries and Galloway. If you are looking for game shooting in the UK, Europe or across the World, including grouse, pheasant, partridge and more then Sporting Agent offer great hunting adventures at fantastic prices. Shooting trips and vacations including Argentina, Czech Republic, Spain, United Kingdom, Uruguay and more.